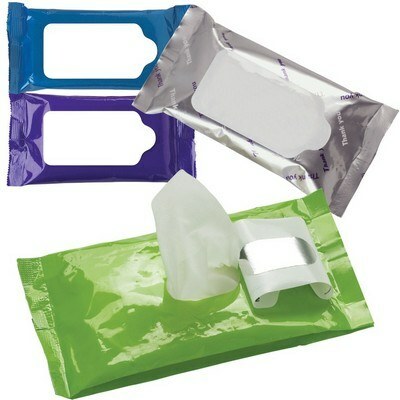 Refresh yourself when working outdoors with the Pouch Wipes – Antibacterial Wet Wipes. It comes in a re-sealable pouch. 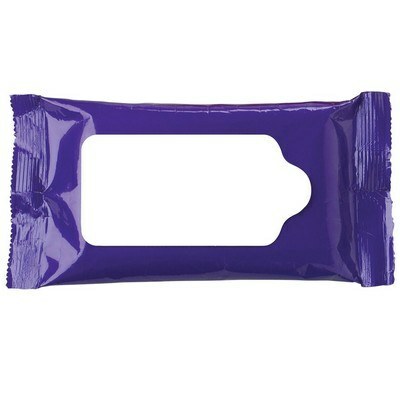 Refresh yourself when working outdoors with the Pouch Wipes – Antibacterial Wet Wipes. 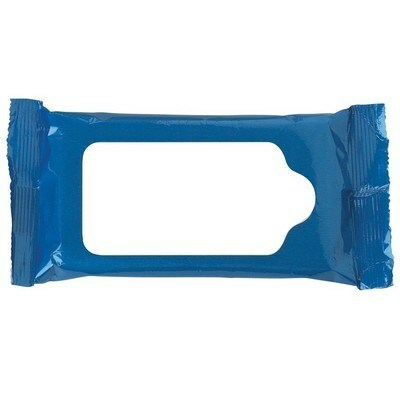 It comes in a re-sealable pouch. 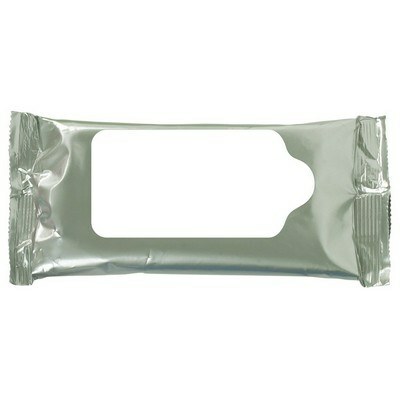 The wipes have a gently scented, alcohol-free formula. Each wipe pouch contains 15 wipes and meets FDA requirements. It is compact and can easily fit in your purse. Shipping options are available to US addresses only. It is a useful item to refresh when travelling for long hours or when working outdoors. 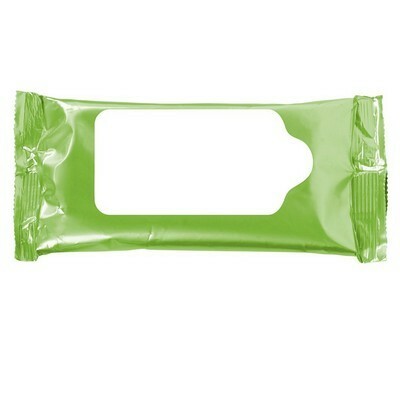 Add your company’s logo on the wet wipes to advertise your brand. Minimum number of items in each order: 400 items.